At about 0210h. 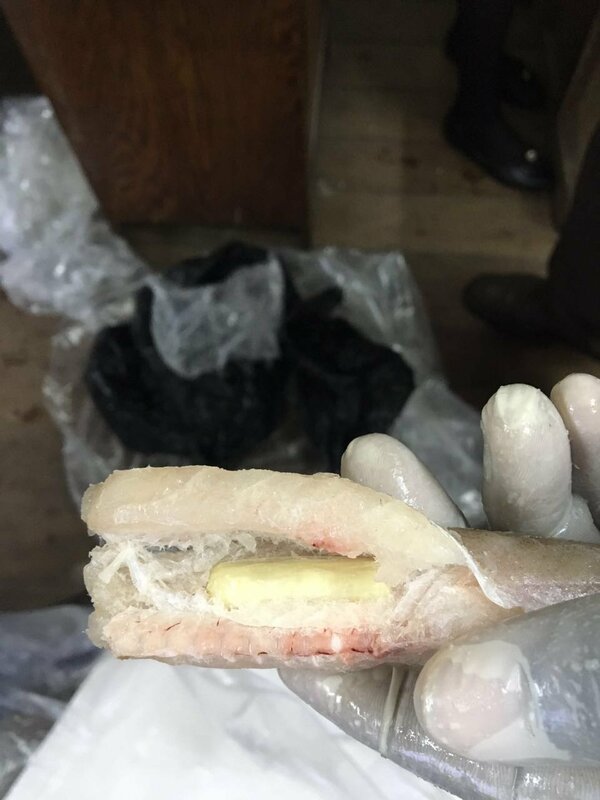 today, the police say that ranks of the Police Narcotics Branch intercepted and seized six kilograms and forty four grams of cocaine in a cargo shipment of frozen fish at the Cheddi Jagan International Airport, Timehri. The said shipment consisted of several boxes. The bust comes as the Guyana Police Force is intensifying its efforts to clamp down on the scourge of drug trafficking. The cargo was destined to be shipped to the United States of America, the police force said. Ten persons are in custody.